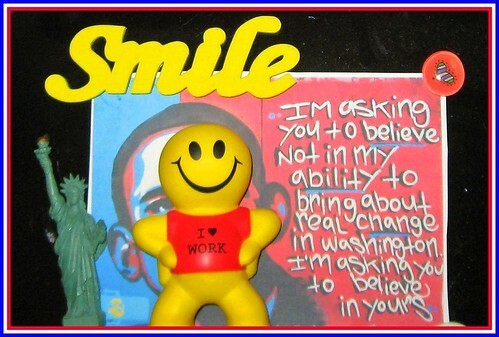 Home » Archive by category "Citizenship Issues"
14 amendment citizen are you still a slave? Congressman Raul Grijalva (D-AZ) and Arizona’s Secretary of State Ken Bennett (R) will team up at a “Democracy Forum” on October 30 in Tucson to promote civil discourse on the key national issues of immigration and the economy. Dr. Peter Likins, President Emeritus of the University of Arizona, will emcee the free, public event taking place from 1:30 until 4 p.m. at the Arizona Historical Society/Museum. At the Forum, Secretary Bennett and Congressman Grijalva, who are from differing political parties, will each present their position on immigration and the economy then the audience will ask questions, discuss the issues and vote on them. The National Student/Parent Mock Election is spearheading the Democracy Forum, which is designed to bring parents, grandparents, children and public officials together in a bipartisan, intergenerational, multi-ethnic forum. “Recent heated public debates on vital national issues – including immigration here in Arizona – have centered on much hate and vitriol, manifested in public protests, in the media and in our schools. Our forum’s purpose is to counter that trend, exemplifying how bipartisan discussions and disagreement can exist within a content of decency,” said Gloria Kirshner, president of the National Student/Parent Mock Election. Borderlands Theaters will present excerpts from its hit show “Arizona: No Roosters in the Desert,” a play about four women’s trek toward the American dream. A patriotic/ historic costume contest for all ages. Professor Emeritus at Arizona State University, Bruce Mason, will speak about the right to petition the government for a redress of grievances and explore the history of protest movements in America since colonial days. Dr. Rudy Byrd from the Sons of the American Revolution will explain why Spanish soldiers voluntarily sent parts of their salary to the Revolutionary army and how, records show, teenagers and minorities endured extreme hardships to win America’s democracy. Video of former Supreme Court Justice Sandra Day O’Connor and other celebrities including Morgan Freeman, Reese Witherspoon, and Whoopi Goldberg heralding the Declaration of Independence and current American freedoms. “We hope that by increasing their understanding of the past and evoking empathy for the current predicaments of their fellow human beings, we can help today’s young Americans envision and work toward the common good, using civil discourse and respect as tools to achieve their goal. We want to prepare Americans of all ages to pass the torch of democracy – still burning brightly with the values for which the founding fathers fought,” added Kirshner. The National Student/Parent Mock Election’s Democracy Forum planning committee includes Arizona Secretary of State Ken Bennett; Congressman Raul Grijalva; Dr. John Pedicone, currently a candidate for superintendent of Tucson Unified School District, vice president of the Southern Arizona Leadership Council and senior fellow at the University of Arizona; Dr. June Web-Vignery, executive director of the Metropolitan Education Commission, historian and author; and Dr. Peter Likins, president emeritus of the University of Arizona. Pearson, the education services and technology company, is a sponsor of the National Student/Parent Mock Election. The event is free and open to the public, but seating is limited. Please call (520) 797-7590 or email nspme(at)aol(dot)com to reserve a seat. 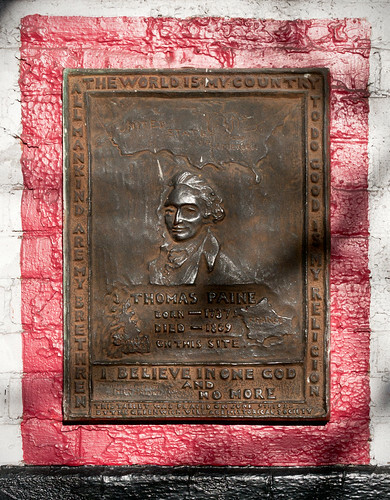 The NSPME is the nation’s oldest, largest and most successful voter-education project, dating from 1980. Since the first Mock Election in 1980, nearly 50 million young voters have cast their ballots and, in the process, discovered what it means to be an American citizen and the value of citizenship in our democracy. Visit http://www.nationalmockelection.org for more information. "Let it be told to the future world … that in the depth of winter, when nothing but hope and virtue could survive… that the city and the country, alarmed at one common danger, came forth to meet [it]." Gratitude (55) I am grateful for the people of this country, including our new president and his team. What is demanded then is a return to these truths. What is required of us now is a new era of responsibility — a recognition, on the part of every American, that we have duties to ourselves, our nation, and the world, duties that we do not grudgingly accept but rather seize gladly, firm in the knowledge that there is nothing so satisfying to the spirit, so defining of our character, than giving our all to a difficult task. This is the price and the promise of citizenship. This is the source of our confidence— the knowledge that God calls on us to shape an uncertain destiny. So let us mark this day with remembrance, of who we are and how far we have traveled. In the year of America’s birth, in the coldest of months, a small band of patriots huddled by dying campfires on the shores of an icy river. The capital was abandoned. The enemy was advancing. The snow was stained with blood. At a moment when the outcome of our revolution was most in doubt, the father of our nation ordered these words be read to the people: "Let it be told to the future world…that in the depth of winter, when nothing but hope and virtue could survive … that the city and the country, alarmed at one common danger, came forth to meet it." New!!! Perfect For Beginners Who Would Like To Make Money On Internet Advertising. Incredible Tricks For Experienced Marketers How To To Double Or Triple Their Income. Step By Step Tutorial, Examples And Screenshots. Excellent Conversions Is Guaranteed!!! March 21, 2011 Austin: Citizens Impacting Legislation free seminar featured Keith Elkins (Executive Director, Freedom of Information Foundation of Texas) who gave practical tips for citizen watchdog when checking government records for wasteful spending. The memorial to the Boy Scouts of America is the only memorial in Washington to commemorate a living cause. It was constructed at no expense to the government. The funds were raised from each Scout unit and each donor signed a scroll that was later placed in the pedestal of the statue. During the 50th Anniversary Year of Scouting (1959), a proposal was made to establish the memorial on the site of where the first Boy Scount Jamboree in Washington, D.C. was held. Lyndon B. Johnson, who was the Senate majority leader at the time, introduced the measure to the Senate. The memorial was eventually unveiled in a ceremony on November 7, 1964. The statue was accepted for the country by Associate Supreme Court Justice Tom Clark, who noted it was his fiftieth anniversary as an Eagle Scout. 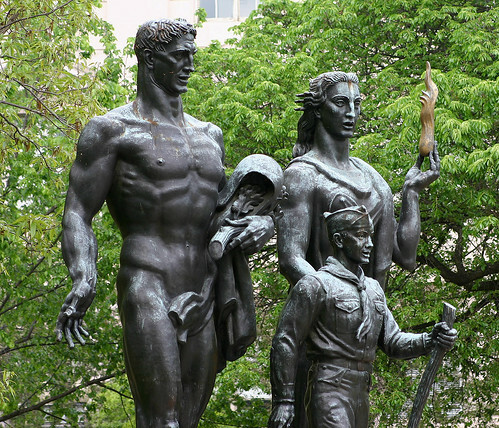 The bronze statue consists of three figures: a Boy Scout, a woman and a man. Each figure symbolizes the idea of the great and noble forces that are an inspiring background of each Scout as he goes about the business of becoming a man and a citizen. The male figure symbolizes physical, mental and moral fitness, love of country, good citizenship, loyalty, honor, courage and clean living. He carries a helmet, a symbol of masculine attire and a live oak branch, a symbol of peace and of strength. The female figure symbolizes enlightenment with the light of faith, love of God, high ideals, liberty, justice, freedom, democracy and love of fellow man; symbolizing the spiritual qualities of good citizenship. She holds high the eternal flame of God’s Holy Spirit. The figure of the Boy Scout represents the hopes of all past, present and future scouts around the world and the hopes of every home, church and school that all that is great and noble in the Nation’s past and present will continue to live in them and through them in many generations to come. A small pool in front of the memorial represents the honor of those children who joined the Boy Scouts of America. In 1816 the formation of the American Colonization Society gave organizational form to the belief that blacks would be better off settled in colonies back in Africa. 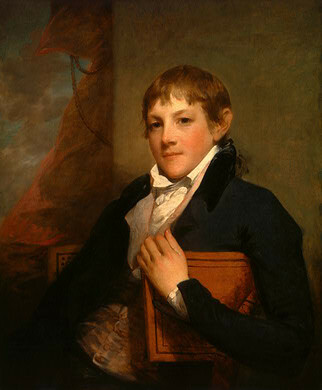 Men including Thomas Jefferson, James Monroe, Henry Clay, Daniel Webster, and John Randolph supported the society’s goals. Abraham Lincoln wold as well. They did so out of a belief that the prejudice of race was so strong in America that free blacks would never successfully integrate into society, and that slavery itself was a "necessary evil" that warped Southern institutions and might best be abolished gradually. The American Colonization Society (in full, The Society for the Colonization of Free People of Color of America), founded in 1816, was the primary vehicle to support the "return" of free African Americans to what was considered greater freedom in Africa. It helped to found the colony of Liberia in 1821–22 as a place for freedmen. Its founders were Henry Clay, John Randolph, and Richard Bland Lee. Paul Cuffee, a wealthy mixed-race New England shipowner and activist, was an early advocate of settling freed blacks in Africa. He gained support from black leaders and members of the US Congress for an emigration plan. In 1811 and 1815-16, he financed and captained successful voyages to British-ruled Sierra Leone, where he helped African-American immigrants get established. Although Cuffee died in 1817, his efforts may have "set the tone" for the American Colonization Society (ACS) to initiate further settlements. The ACS was a coalition made up mostly of Quakers who supported abolition, and slaveholders who wanted to remove the perceived threat of free blacks to their society. They found common ground in support of so-called "repatriation". They believed blacks would face better chances for full lives in Africa than in the U.S. The slaveholders opposed abolition, but saw repatriation as a way to remove free blacks and avoid slave rebellions. From 1821, thousands of free black Americans moved to Liberia from the United States. Over 20 years, the colony continued to grow and establish economic stability. In 1847, the legislature of Liberia declared the nation an independent state. Critics have said the ACS was a racist society, while others point to its benevolent origins and later takeover by men with visions of an American empire in Africa. The Society closely controlled the development of Liberia until its declaration of independence. By 1867, the ACS had assisted in the movement of more than 13,000 Americans to Liberia. From 1825-1919, it published a journal, the African Repository and Colonial Journal. After that, the society had essentially ended, but did not formally dissolve until 1964, when it transferred its papers to the Library of Congress. The arguments propounded against free blacks, especially in free states, may be divided into four main categories. One argument pointed toward the perceived moral laxity of blacks. Blacks, it was claimed, were licentious beings who would draw whites into their savage, unrestrained ways. The fears of an intermingling of the races were strong and underlay much of the outcry for removal. Along these same lines, blacks were accused of a tendency toward criminality. Still others claimed that the supposed mental inferiority of African Americans made them unfit for the duties of citizenship and incapable of real improvement. Economic considerations were also put forth. Free blacks were said to threaten jobs of working class whites in the North. Southerners had their special reservations about free blacks, fearing that the freedmen living in in slave areas caused unrest to slaves, and encouraged runaways and slave revolts. They had racist reservations about the ability of free blacks to function. The proposed solution was to have free blacks deported from the United States to colonize parts of Africa. Despite being antislavery, Society members were openly racist and frequently argued that free blacks would be unable to assimilate into the white society of this country. John Randolph, one famous slave owner, called free blacks "promoters of mischief." At this time, about 2 million African Americans lived in America of which 200,000 were free persons of color (with legislated limits). Henry Clay, a congressman from Kentucky who was critical of the negative impact slavery had on the southern economy, saw the movement of blacks as being preferable to emancipation in America, believing that "unconquerable prejudice resulting from their color, they never could amalgamate with the free whites of this country. It was desirable, therefore, as it respected them, and the residue of the population of the country, to drain them off". Clay argued that because blacks could never be fully integrated into U.S. society due to "unconquerable prejudice" by white Americans, it would be better for them to emigrate to Africa. The ACS purchased the freedom of American slaves and paid their passage to Liberia. Emigration was offered to already free black people. For many years the ACS tried to persuade the US Congress to appropriate funds to send colonists to Liberia. Although Henry Clay led the campaign, it failed. Since the 1840s Lincoln, an admirer of Clay, had been an advocate of the ACS program of colonizing blacks in Liberia. In an 1854 speech in Illinois, he points out the immense difficulties of such a task are an obstacle to finding an easy way to quickly end slavery. Early in his presidency, Abraham Lincoln tried repeatedly to arrange resettlement of the kind the ACS supported, but each arrangement failed. By 1863, following the use of black troops, most scholars believe that Lincoln abandoned the idea. Biographer Stephen B. Oates has observed that Lincoln thought it immoral to ask black soldiers to fight for the US and then to remove them to Africa after their military service. Others, such as the historian Michael Lind, believe that as late 1864 or 1865, Lincoln continued to hold out hope for colonization, noting that he allegedly asked Attorney general Edward Bates if the Reverend James Mitchell could stay on as "your assistant or aid in the matter of executing the several acts of Congress relating to the emigration or colonizing of the freed Blacks." Mitchell, a former state director of the ACS in Indiana, had been appointed by Lincoln in 1862 to oversee the government’s colonization programs. In his second term as president, on April 11, 1865, Lincoln gave a speech supporting suffrage for blacks. Three of the reasons the movement never became very successful were the objections raised by free blacks and abolitionists, the scale and costs of moving many people (there were 4 million freedmen in the South after the Civil War), and the difficulty in finding locations willing to accept large numbers of black newcomers. This is for everyone to watch, listen and learn. It all comes from a magazine called America’s First Freedom. 6 stories all very interesting. All different people different situations and outcomes. All law abiding citizens were ok after the incidents, the criminals were not. This may interest you this may not, please rate subcribe comment. Most of all just tell me if you like this stye video. Q&A: I’m aquiring dual citizenship and will soon have the option to live/work in Europe. Any suggestions of where? Question by Joshua: I’m aquiring dual citizenship and will soon have the option to live/work in Europe. Any suggestions of where? My citizenship will be for Ireland, but since they are part of the EU, I will have the freedom to work and live in any of those countries. Which country would you suggest and why? And what, in your opinion, are some Pros and Cons of living in Europe vs. the United States? Please feel free to be as detailed as you like — I really, really appreciate this! I don’t know about Ireland, but I heard that their economy is doing well at the moment. I’d discourage you to move to Italy, since we’re not going well nowadays (low incomes, high cost of life, especially housing). I have friends in Germany and the standard of living is slightly better there. Pros and Cons? We have less crime, free health care and more vacations (generally speaking) than in the US. On the other hand, lower wages and higher unemployment.